It was my father’s birthday yesterday. 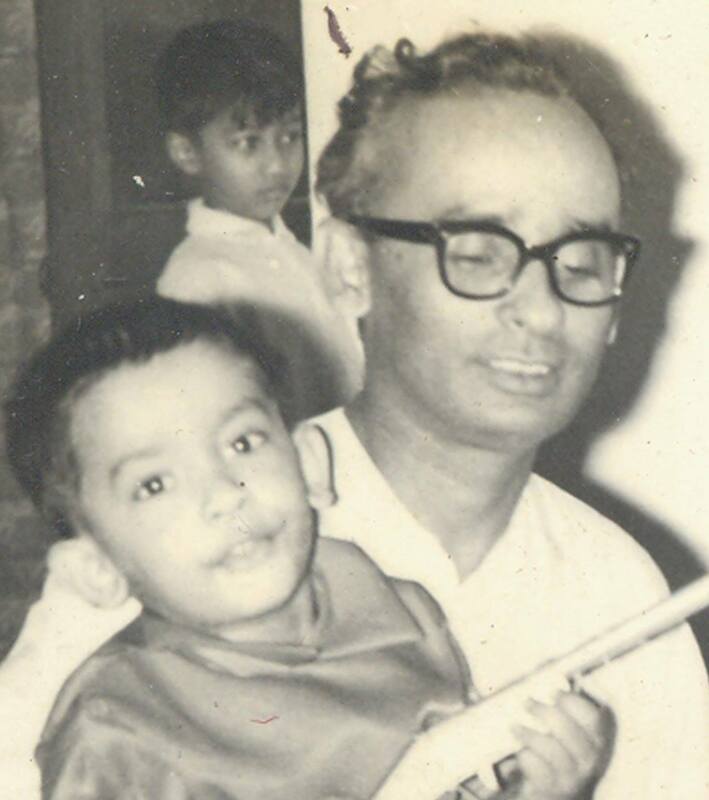 Professor Mufazzal Haider Chaudhury would have been 87. He never got to approach that age because he was tortured and murdered at 45, the same age as I am now, by the Al-Badr militia. In 1971. 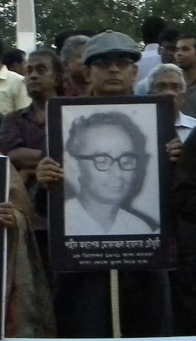 Tanvir Haider Chaudhury holds photo of his father at Shaheed Minar. Ghulam Azam, who created the blueprint for my father and many of his compatriots to be assassinated, will turn 91 in November. He has been a citizen of Bangladesh – a country which he didn’t recognize and actively lobbied against till 1978 – for the last 19 years. Over the years, he became a major political force and, in the eyes of some, a revered public figure. Having been found guilty of crimes against humanity in his recent trial, he was granted clemency because of his age and is now to spend 90 more years in the state’s custody, reportedly in fairly comfortable conditions. It is an inexplicable world we live in. 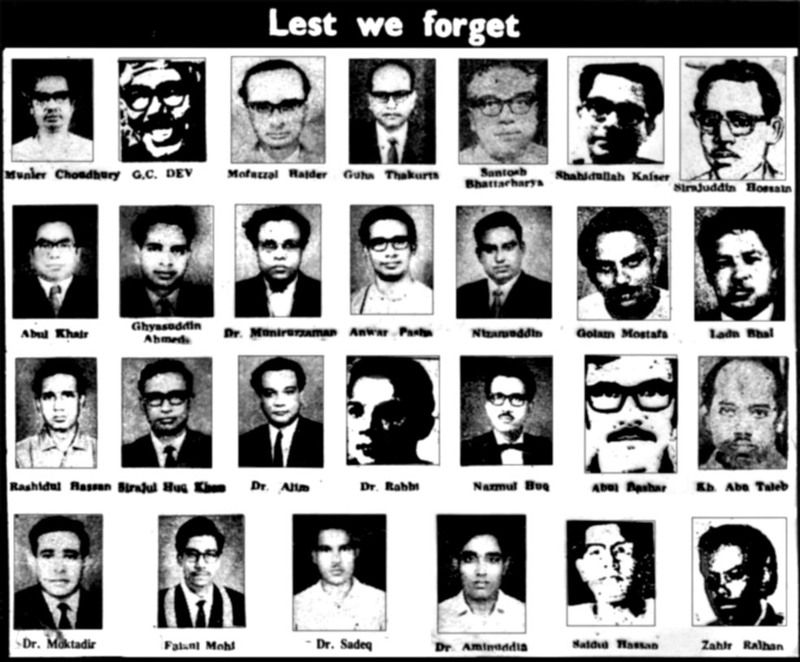 Children of intellectuals assassinated in 1971 hold silent vigil at Shaheed Minar. And yet, at the next election, it seems very likely that the party that rehabilitated these vermin, who declared they are part of the same family, will be re-elected. Is that because we all forget so easily, or is it because the “good” people are really so “bad”? Even those who tried him were not satisfied, but are accepting due to lack of choice. I think contentment is fleeting, no one is happy for very long. They believe that they need change and don’t have faith that those in power are trying to fulfill what they said they will. They also believe the propaganda constantly being spread by the “other” party.